When you become a Laconia Elk, you can enjoy all the social events offered by the Lodge, attend meetings, vote on issues of great importance to our Lodge and Order, and share in the camaraderie of brother and sister Elks. You will also automatically become a member of the New Hampshire State Elks Association, and can visit any Elks Lodge in the United States. But membership offers much more. When an Elk is active in the Lodge, he or she discovers the great feeling of helping others. The support we provide our communities can only be done with the help of our membership. Playing a game of cards with a disabled veteran, helping a senior enjoy a holiday meal, seeing the joy on a young adult's face who attended Copper Cannon Camp or competed in Hoop Shoot, and rewarding a high school senior with a scholarship is one of the best feelings you will ever have. As Elks, we are committed to our country, our flag, and our communities. Our Order has made the commitment that "as long as there is a veteran in a hospital, they will not be forgotten." We respect our flag and all it stands for, support our Constitution, and salute the brave men and women who have or are serving in the defense of our country. We are the only organization in the country to have a flag day ceremony. "Elks care, Elks share" -- that is our motto, and we do so in any way that we can. But we have learned how to do this and have some fun at the same time. The moving spirit of the Elks was an Englishman named Charles Algernon Sidney Vivian. Born October 22, 1842, this son of a clergyman was a successful comic singer and dancer in the music halls of London. In November 1867, Vivian arrived in New York City to try his luck. Other actors and entertainers soon gravitated toward his magnetic personality, and this group dubbed themselves the Jolly Corks, a name derived from a practical joke of the time. When a friend of Vivian and other members of the Jolly Corks died, leaving his wife and children destitute, the Jolly Corks agreed that it was now time to create a more enduring organization, one that, while still committed to good fellowship, would serve those in need. On February 16, 1868, they established the Benevolent and Protective Order of Elks of the United States. Its Social activities and benefit performances increased the popularity of the new Order. Membership grew rapidly. Elks traveling to other cities spread the word of the brotherhood of Elks. Soon there were requests for Elks lodges in cities other than New York. In response to these appeals, the Elks asked the New York State legislature for a charter authorizing the establishment of a Grand Lodge with the power to establish local lodges anywhere in the United States. When the Grand Lodge Charter was issued, the founders then received their first local charter as New York Lodge No. 1 on March 10, 1871. Over the years, the Elks mission has been consistent and the membership has become more inclusive. Today's guidelines for membership stipulate only that the candidate be invited to join, be over the age of 21, be a citizen of the United States, and believe in God. If you have a neighbor or friend who is an Elk, ask them about us; let them take you to the Lodge to see who and what we are. Fill out an application, appear before the investigating committee, and you're on your way to being sworn into membership. But remember -- your new membership card has no value until you use it! 1. Youth Programs--Elks "Hoop Shoot" - Scholarships - Boy Scouts and Girl Scouts - Campfire Girls. 2. Athletic Programs--Little League - Football - Basketball - Bowling - Golf - Swimming - Special Olympics -Summer Camps - Soccer. 3. Medical Assistance for Children--Hospital - Blood Bank - Eye Glasses - Hearing Aids - Prosthetic Devices - Physical Therapy Scholarships- Wheelchairs - Support Groups. 4. 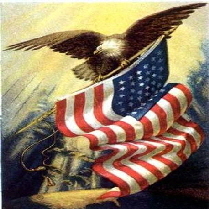 Patriotic Programs--Flag Day - Memorial Day - Constitutional Awareness, Americanism Essay Contest for 5-8 graders. 5. Veterans Programs--Picnics - Outings - Athletic Events - Special Equipment - In-hospital Activities. 7. Drug Awareness Programs--Aimed at educating children in the primary grades of grammar school about the dangers of drugs. Materials also available in high schools as well as doctors' offices, hospitals, clinics, and similar institutions and offices open to the public. The Benevolent and Protective Order of Elks of the United States of America is one of the oldest and largest fraternal organizations in the country. Since its inception in 1868, the Order of Elks has grown to include more than 850,000 men and women in more than 2,000 communities. The BPO Elks is committed to the ideals of charity and patriotism. To that end, Elks have now disbursed, over the course of the Order's history, more than $3.6 billion in cash, goods, and services to the nation's youth, its veterans, the disadvantaged and handicapped, and to individuals and groups in support of patriotic and civic programs. Annually the BPO Elks give more than $200 Million in this fashion, and the Order ranks as the largest private providers of college scholarships in the nation. The Elks have created a quiet network of good deeds that has profoundly changed millions of lives for the better, yet there is little public awareness of the impact of their vital work. Why is this so? Quite simply, the Elks have rarely sought recognition; nor have they gone to the general public with fund-raising efforts nor received monies from any level of government. Indeed, the flow of money and goods moves in the opposite direction: the Elks donated to the government first the veterans hospital; they contribute regularly to schools and police and fire departments; and they assist the young and the needy throughout this great nation. How could this powerful force have come into being? And where does all this charitable giving come from? From the generous hearts of Elks members whose eagerness to share, whose prudent long-term planning, and whose willingness to serve for free and with enthusiasm infuses the Order with an exuberant and enduring expression of the true volunteer spirit. Of note is the fact that the elected leadership of the BPO Elks--from the Exalted Rulers of the local Lodges to the national president, known as the Grand Exalted Ruler, as well as other decision makers at various levels--serve without salaries. The Elks organization is governed through democratic representation, with overall statutes set by voting at national conventions. The BPO Elks national headquarters is in Chicago. The Chicago campus is also the site of the Elks National Veterans Memorial building, and it is the home of the Elks National Foundation, the Order's charitable trust; the Elks National Veterans Service Commission; and The Elks Magazine, the official publication that is sent to every member of the Order. In 1871, a fire devastated the city of Chicago, and the Benevolent and Protective Order of Elks quickly organized and staged a benefit to provide financial assistance to those residents most affected by the disaster. Since then, the Order has responded to every major catastrophe (natural or man-made) and played a leading role in providing relief and comfort. In 1889, the Elks, offered financial assistance to families who suffered as a result of flooding in Johnstown, Pennsylvania, and fires in Seattle, Washington. In 1892, the BPO Elks began working with the American Red Cross when it and the Order provided monies for those suffering from famine in Russia. To this day, the Elks have maintained a partnership with the American Red Cross and developed similar partnerships with other relief agencies. Following the 1906 earthquake in San Francisco, the Order was the first organization to respond to the call for help. Within 12 hours, the Elks' relief efforts were in full swing. In Oakland, California, the Elks equipped hospitals, established temporary shelters for nearly 2,000 displaced persons, and arranged for provisions to be transported to the area. From across the country, financial donations from Elks came in answer to the pleas of the earthquake victims. Through the years, the Elks have been responsible for aiding men, women, and children whose lives have been affected by extraordinary circumstances. No matter the cause of the disaster--torrential rains that led to heavy flooding, explosions in mines, earthquakes, fires, tornadoes, hurricanes, epidemics, or tidal waves--the Elks have been among the first organizations to lend a helping hand in troubled times. Today, the Benevolent and Protective Order of Elks continues its commitment to participate in disaster relief. Most recently, the Order raised more than $1 million to help the families victimized by the horrific terrorist attacks of September 11th and more than $230,000 following the Oklahoma City bombing. Additionally, the Elks have given tens of thousands more dollars to provide assistance to the people affected by the Red River flooding; tornadoes in Oklahoma, Kansas, and Ohio; hurricanes Dennis, Floyd and Charley. In 2011, the Elks gave tens of thousands to those hit by tornadoes in the Midwest and Massachusetts and relief to those suffering by floods along the Mississippi River. In times of crisis, it has long been a pattern for the Order of Elks to ease the pain of others by providing necessary relief The Elks and Youth Celebrating Our Youth. In the 1904s, the Elks made a commitment to "lay a solid foundation for the future; building the moral and physical character of American boys and girls, the leaders of tomorrow." Since then, the Elks have done much to fulfill that self-charged responsibility-and not for fanfare or publicity, but simply because they know it is the right thing to do. In fact, of everything the Elks do, perhaps nothing is more important than their work with the country's young people. Like no other fraternal organization, the Benevolent and Protective Order of Elks celebrates the accomplishments of the country's youth. The efforts of the Elks on behalf of the young-through youth organizations and scholarships, and by sponsoring athletic and artistic endeavors, summer camps, and drug awareness programs-sew the seeds of accomplishment and commitment that benefit the whole nation. This work and the generosity of the Elks help today's young people become tomorrow's scientists, industrialists, academic, artists, athletes, and much more. The first week in May each year, the Order holds its Elks National Youth Week, recognizing young people for their involvement with the achievements in the community. Traditionally the Elks present awards and plaques to outstanding youngsters during this week, in addition to hosting teams-similar to those that are held all year-that provide young people with ever greater chances to play an active role in their communities. By their sponsorship of youth fairs, career nights, student government days, athletic and educational programs, clubs, and more, the Elks truly make a difference in the lives of many young people. It is this caring commitment that makes the BPO Elks the fraternal organization most actively engaged tin promoting strong and healthy futures for young people. In many communities, Elks Lodges help support Boys and Girls Clubs; 4-H programs; youth athletics, including Little League, football, and soccer teams; debate and speech programs; fine arts programs and contests, and other local youth organizations. Elks lodges also sponsor scout troops, offering our lodges as meeting places. We are proud to work with thousands of youth groups and organizations, ensuring that no child is ignored or forgotten. One of the Order's most impressive youth programs is the Elks "Hoop Shoot" National Free Throw Contest. With more than 3 million annual participants between the ages of 8 and 13, the odds of making it to the championship round of the Elks "Hoop Shoot" are less than 40,000 to 1. The odds of capturing one of the six national titles that are up for grabs each year are less than 500,000 to one! At an Elks "Hoop Shoot" Free Throw Contest, boys and girls in one of three age-groups, 8-9, 10-11, 12-13, attempt to sink 25 free throws--10 in the first round, and 15 in the second, with ties being resolved by 5-shot shoot-offs. The competition is fierce but fun, and that's one reason the Elks "Hoop Shoot" has grown, since 1946, from a local youth activity at the Corvallis, Oregon, Elks Lodge to the largest coeducational sports program in the country. The Elks "Soccer Shoot" Contest is the most recent addition to the Order's highly successful coeducational youth sports programs. The competition, which is open to boys and girls under the age of 14, is designed to promote athletic ability and sportsmanship, foster developing talents and skills at soccer; and provide a fun competition in a safe environment. Each competition consists of two contests: the 5-goal contest for youngsters under the age of 10, and the grid-goal contest for 11- to 14-year-olds. The object of both competitions is to accurately kick a soccer ball through successively smaller goals. The smaller the goal, the more points scored. This program, which became nationwide in 1999, is already drawing more than 200,000 participants annually. The BPO Elks, both at the local level and through its national Elks Drug Awareness Education Program, has done stellar work informing the nation's youth and their parents about the dangers associated with using illegal substances, tobacco products, and alcohol. Since 1983, the Elks have distributed more than 250 million pieces of educational literature to students, educators, and parents. In addition to their educational efforts, the Elks work with other organizations and agencies to provide youth with healthy and safe alternatives to drugs and alcohol. Local Lodges sponsor drug- and alcohol-free post-prom and graduation parties and dances, as well as a host of other activities. The Elks also provide financial support to law enforcement agencies for their efforts to curb the growth of drug use and to encourage children and young adults to make healthier decisions. With monies from local Lodges and from the national organization, the Elks typically donate approximately $10 million in scholarships each year. On the local and national levels, Elks award scholarships and grants to Boy Scouts and Girl Scouts; to exemplary high school seniors through the Elks "Most Valuable Student" scholarship program; to the children of Elks through the Elks Legacy Awards and Emergency Education Fund Grants; and to many other worthy recipients. The Elks rank as the largest providers of college scholarships in the United States. In the spring of 1997, the BPOE publicly announced its goals for laying a solid foundation for the leaders of tomorrow, making several pledges to America's Promise: The Alliance for Youth. One of those pledges was to commit $31.9 million per year in support of Scouting, athletic programs, and other youth organizations and programs by the year 2000. The Order not only reached that goal but, in every year since 2000, has actually surpassed it, due in large part to the efforts of local Lodges. Another pledge made by the Order to America's Promise was to commit $12.1 million per year in aid and treatment for children with disabilities as well as in drug education and prevention programs by 2000--and this goal was exceeded long before 2000. The BPOE also pledged to commit $6.5 million per year in scholarship/grants by the year 2000--another goal that the Order has surpassed. Each and every year, the Elks continue to surpass our goals to continued growth and support of our future- America's youth. Since 1917, the Benevolent and Protective Order of Elks has demonstrated its compassion for the veterans of our armed forces through a number of programs and activities. The Elks realize that in every state, city, town, and village in our nation there is a hospital, nursing home, or other Veterans Administration (VA) medical facility that houses veterans deserving the utmost respect. And that is why the Order made a pledge that "So long as there are veterans, the Benevolent and Protective Order of Elks will never forget them." The Elks and Patriotism: Inspiring National and Civic Pride. Since the earliest days of the Order, patriotism has been among the many hallmarks that make the Benevolent and Protective Order of Elks stand out from other fraternal organizations. With a membership composed entirely of US. citizens, the BPO Elks is committed to promoting the principles of individual freedom, opportunity, and dignity. Elks have always been moved in the presence of the flag of the United States of America, which is why, in 1907, Elks members adopted a resolution designating June 14 as Flag Day. In 1911 the Grand lodge mandated that all local Lodges observe Flag Day with appropriate ceremonies, making the Elks the first national fraternal organization to require the observance of Flag Day. Finally, on August 3, 1949, President Harry S. Truman, himself a member of the Order, permanently designated June 14 as Flag Day by signing an act of Congress. But observing Flag Day isn't the only way that the Order demonstrates its deep reverence for the banner that symbolically embodies the values of the nation. Many lodges give or sell flags to worthy groups and provide training in proper flag etiquette. Some lodges even provide flags for newly sworn citizens, while other lodges give flags to their local schools for display in the classroom and provide educational materials to help grade school students learn the Pledge of Allegiance. Each year, Elks across the country sponsor essay contests that encourage elementary and high school students to explore why the flag is important in their lives. At their 1983 national convention, the Elks passed a resolution endorsing the Liberty Centennial Campaign's work to restore the Statue of Liberty and Ellis Island and pledging its full support to the campaign. For its part, the Order vowed to raise one million dollars in three years. Elks from across the country enthusiastically responded to the Order's pledge, and by 1986 the Order had exceeded its original goal, contributing more than $1.38 million to restore this treasured symbol of the nation's promise of freedom and opportunity. In 1999, the members of the Benevolent and Protective Order of Elks gladly approved a resolution pledging an amount equal to one dollar per member to the National World War II Memorial. The memorial, which has been built on the National Mall in Washington, D.C. will preserve the memory of the more than 16 million people who served in World War II, the more than 400,000 who died, and the millions more who made other sacrifices to support those in combat overseas. The Elks exceeded their pledge, generating more than $1.22 million for this monument of tribute. In nearly 2,000 communities, local Elks lodges work valiantly to promote civic pride. Local lodges regularly hold functions to recognize and celebrate the achievements of local emergency services personnel, teachers, leading citizens, educators, students, and government officials. Elks also demonstrate the pride that they feel toward their communities by volunteering and making financial contributions to local charitable organizations. In times of war and international conflict, the Benevolent and Protective Order of Elks has made considerable contributions to the nation's armed forces. The Order considers its work done to aid in the defense of the nation as one of its proudest and most lasting achievements. Elks patriotism and generosity helped the nation to victory in World War I. In 1917, the Grand Lodge allocated $2 million to finance efforts to assist U.S. soldiers. The Order organized and equipped the first two base hospitals in France. And to accommodate the maimed and wounded, the Elks built a 700-bed Reconstruction Hospital and gave it to the War Department in 1918. This was the first of what were to become the Veterans Administration medical facilities. That same year, the Order built a 72-room Community House to take care of the families visiting the 40,000 soldiers stationed at Camp Sherman, Ohio. During the war, the Salvation Army was severely handicapped in its great efforts to aid servicemen by lack a of funds. To make sure that this work continued, the Elks undertook campaigns to raise funds for the Salvation Army, and on many occasions the Elks assumed the entire coast of these undertakings. In addition, at Christmastime in 1918, the Order gave the Salvation Army $60,000 to continue its programs. Following the war's end, the Elks made 40,000 rehabilitation, vocational, and educational loans to disabled veterans who were ineligible for government help or who were waiting approval of their applications. This service was so effective that the government followed the Elks' example and established a revolving fund that was the precursor of the GI Bill. More than 70,000 Elks served in the armed forces during World War 1. More than 1,000 made the supreme sacrifice. Throughout World War II, the Elks contributed to the war effort by providing for members of the armed forces both at home and abroad. By the time hostilities ceased, the Grand Lodge had spent more than $1.5 million, while local lodges spent hundreds of thousands of dollars more to provide assistance to our men in uniform. During World War II, Elks lodges spearheaded local recruitment efforts, directly helping to enlist more than 142,000 men into the armed forces as well as thousands of construction specialists who dramatically aided the war effort. Additionally, more than 400 lodges conducted refresher courses that qualified thousands of young men for training as army flying cadets. The Order also realized the need to boost the morale of servicemen stationed far from home. Across the country, the Elks sponsored 155 Elks fraternal centers, where GIs were invited to relax, socialize, and enjoy the hospitality of the Elks. More than one million servicemen visited the center in New York City. For those serving overseas, the Elks prepared and sent care packages containing candy, personal grooming supplies, and other comforting items. When war broke out in Korea in 1950, the Elks responded by sending gift packs to those serving their country as they had done in World War II. In 1951, the secretary of defense appealed to the Order for help in procuring blood for the wounded. Within a few months, Elks lodges obtained more than half a million pints. During the Vietnam War, the Elks again answered the call by beginning the Letters from Home campaign. Elks members from across the country flooded our young servicemen and women with letters expressing gratitude for the sacrifices they were making on behalf of the nation. In addition to the letters, the Order provided care packages to soldiers. As in previous conflicts, the Benevolent and Protective Order of Elks stood ready to aid the men and women of the U.S. armed forces when the Gulf War commenced. Once again, the Elks mounted a letter writing campaign to thank these patriots for their dedicated service, and gift packs for soldiers were provided as they had been in the past. At the close of the Gulf War, many Elks lodges made arrangements to host ceremonies honoring the brave soldiers returning from the conflict in the Middle East, making the Order one of the first organizations to formally welcome these veterans home. And now the Elks have stepped forward yet again to help our armed forces. Today the Army of Hope is charged with assisting the families of those in uniform with their need's at home. Through these programs and many others, the Benevolent and Protective Order of Elks has truly established itself as a leading force in promoting the values that help shape and strengthen the United States.